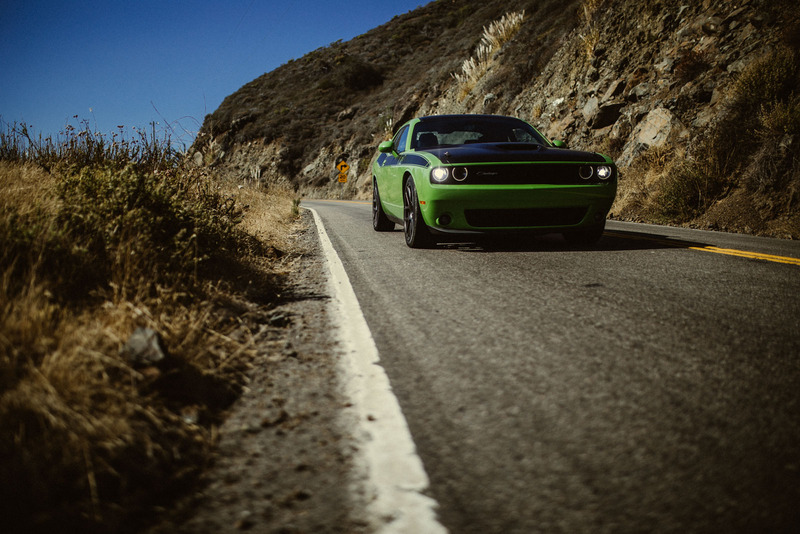 Home Car News Car Reviews Our Iconic US Road Trip in a Dodge Challenger T/A! 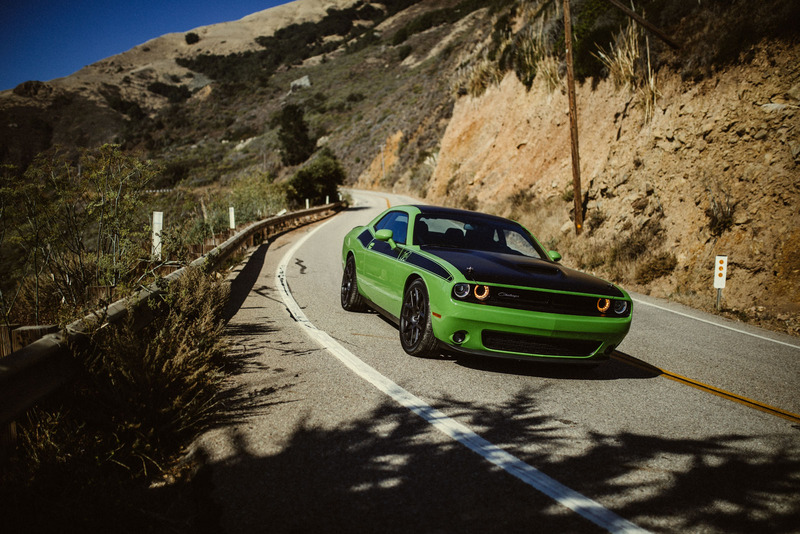 Our Iconic US Road Trip in a Dodge Challenger T/A! 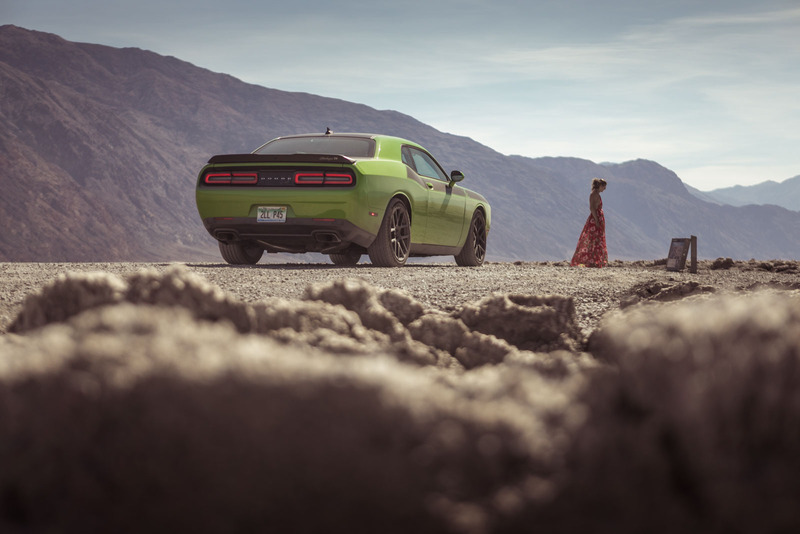 1,500 miles of the Southwest Coastline beckons. Americana at it’s finest. 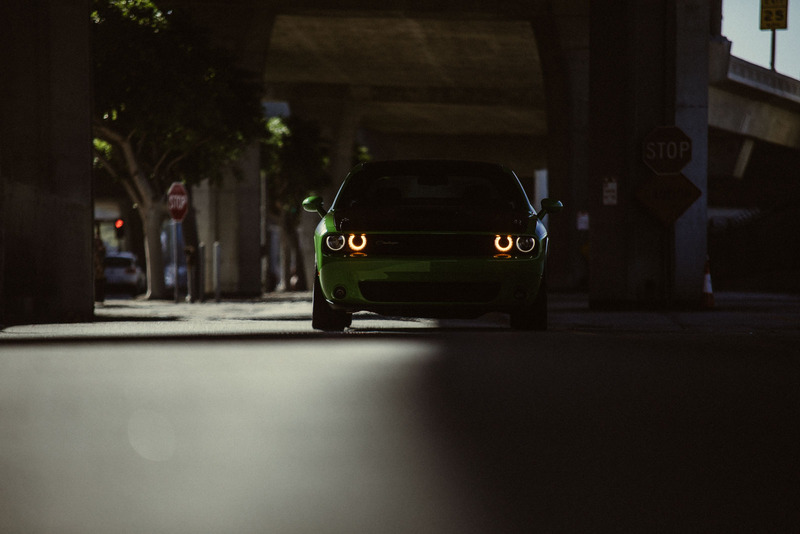 But which car do you choose? For us it was easy. 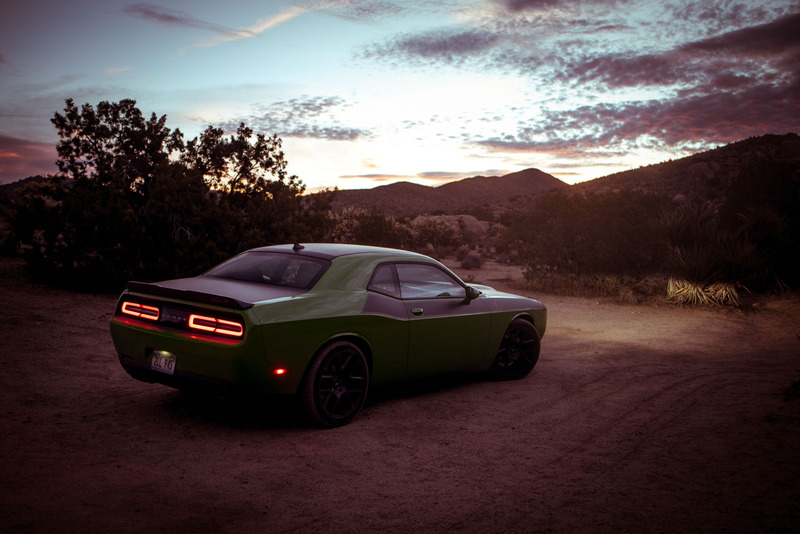 The 475 horsepower Dodge Challenger T/A is a muscle car icon, perfect for an equally iconic road trip! 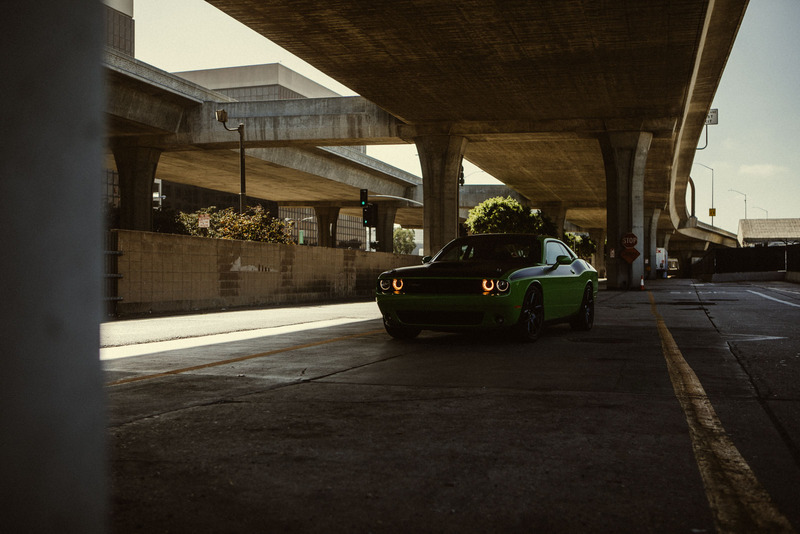 The Dodge Challenger has its routes firmly placed in the original 1971 design. 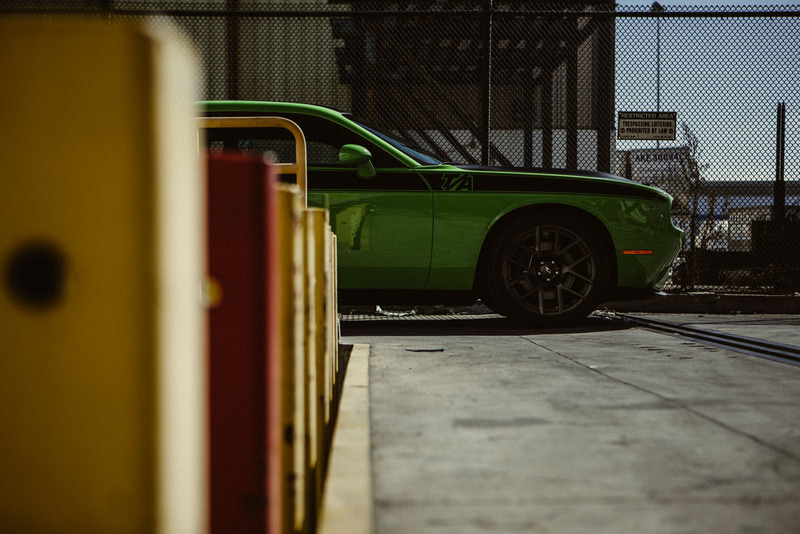 You don’t mess with an icon. 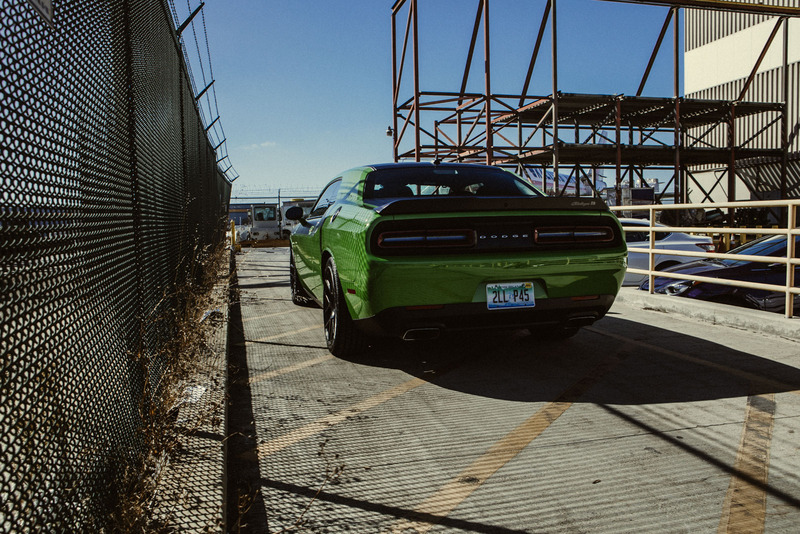 The archetypal muscle car, the Challenger snapped necks everywhere we showed up. 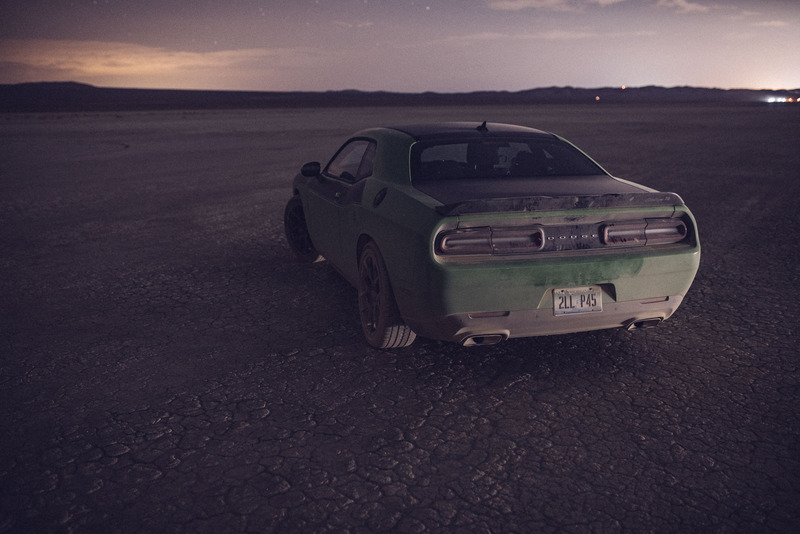 Unsurprising, the green beast sticks out from desert highways. 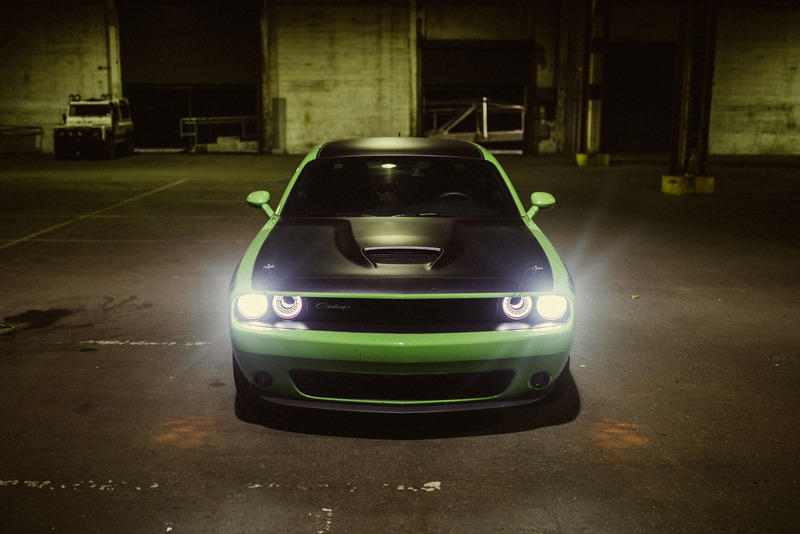 It’s impressive sound announces its imposing presence. 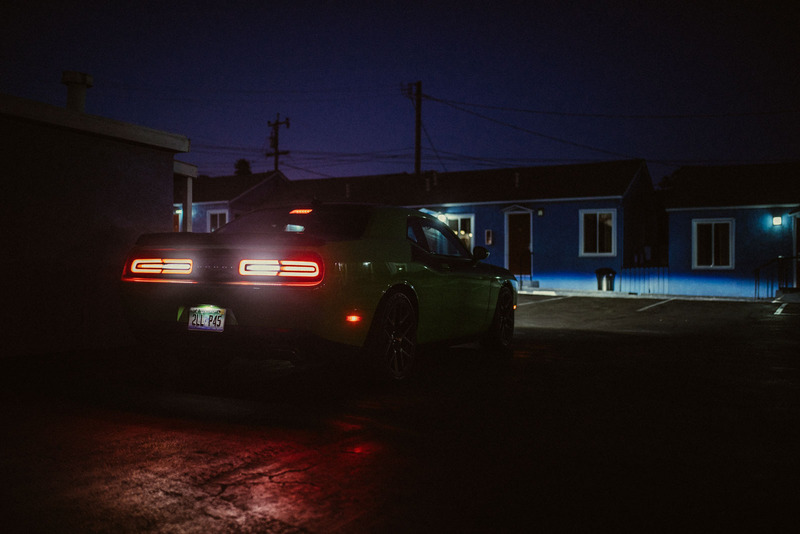 The Dodge Challenger T/A is neither Hellcat, nor Demon. 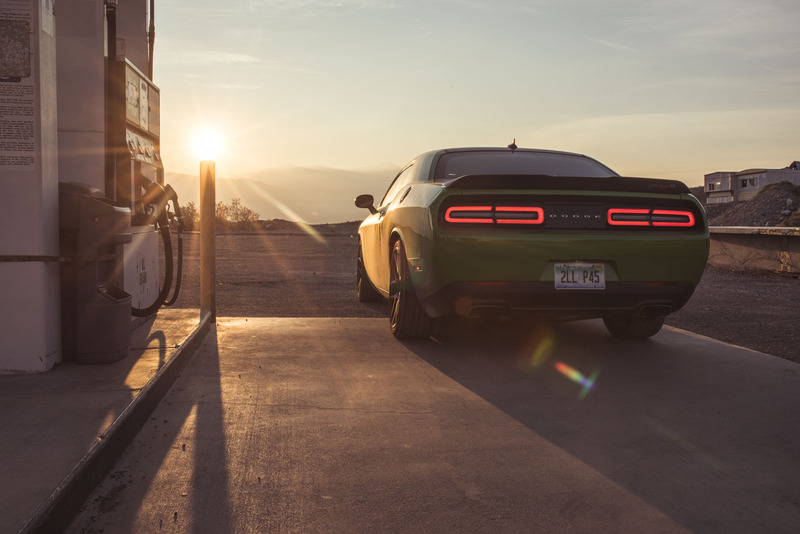 The T/A nomenclature stands for Trans-Am – derived from the 1970’s SCCA racing series, a series in which the original Challenger competed back in the day. 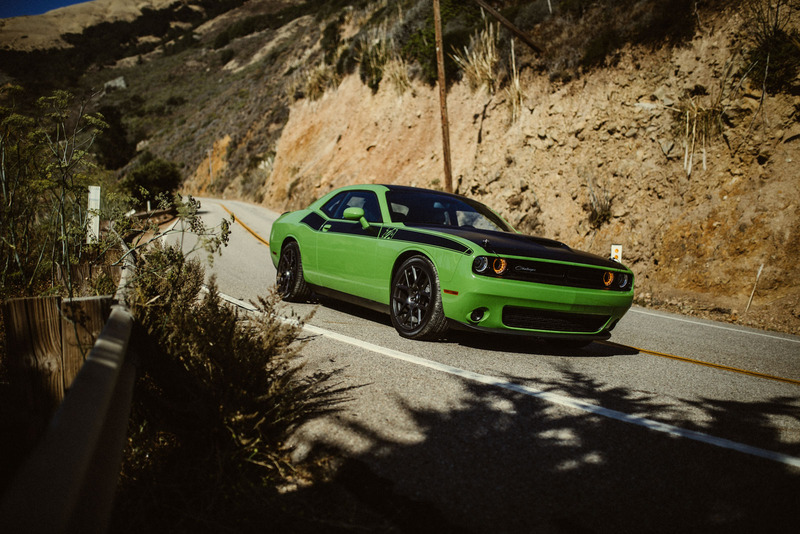 The package is a throwback to that era and equips the Challenger with various aesthetic add-ons and bolt-on performance parts. 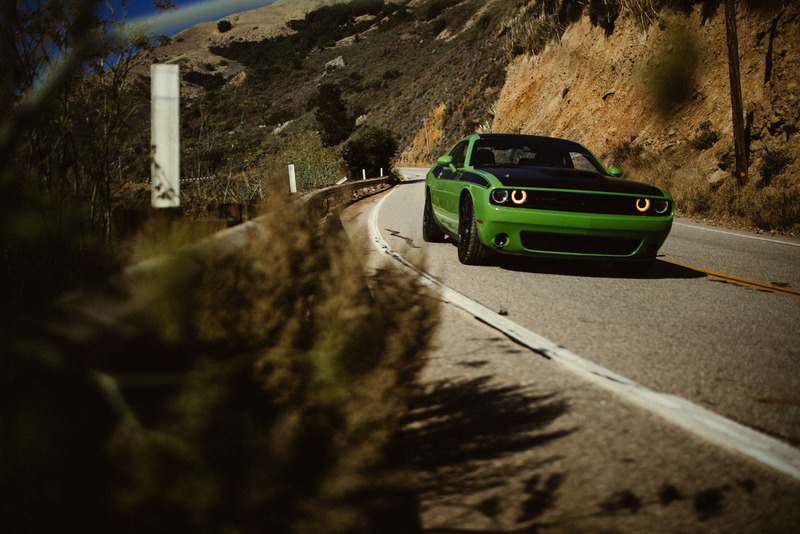 The result increases the volume with negligible performance improvements. 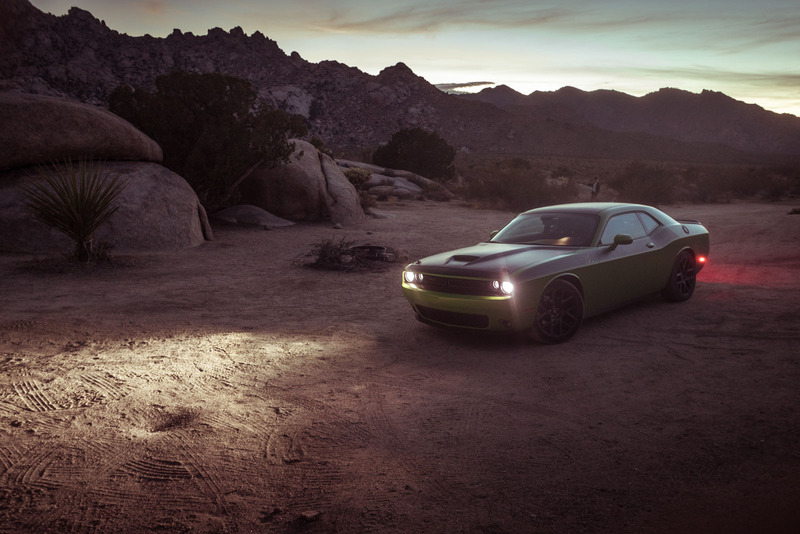 The matte black hood, roof, trunk and side stripes make a bold statement. 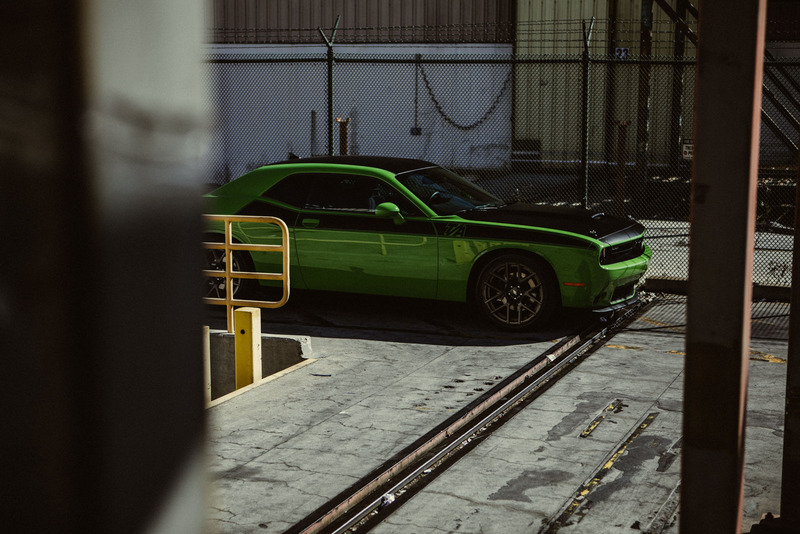 They add a cool, edgy touch to the otherwise bright green car. 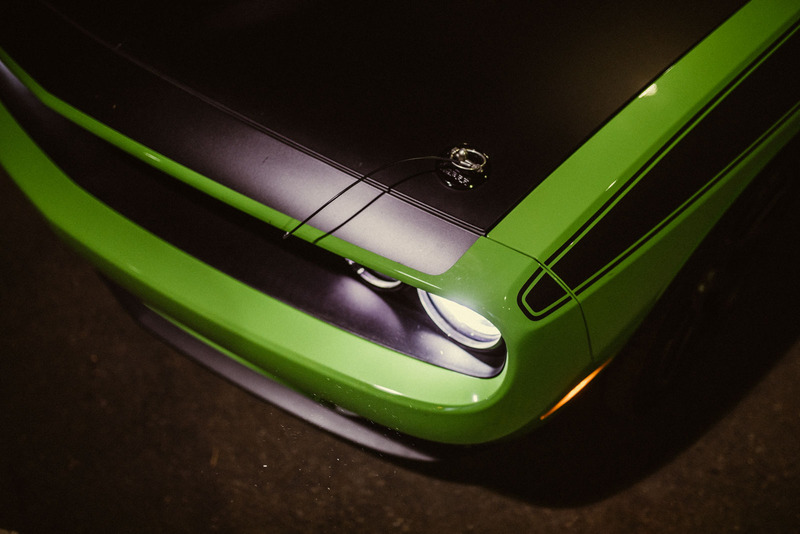 The retro Challenger T/A handwritten lettering on the grill is our favourite design element. 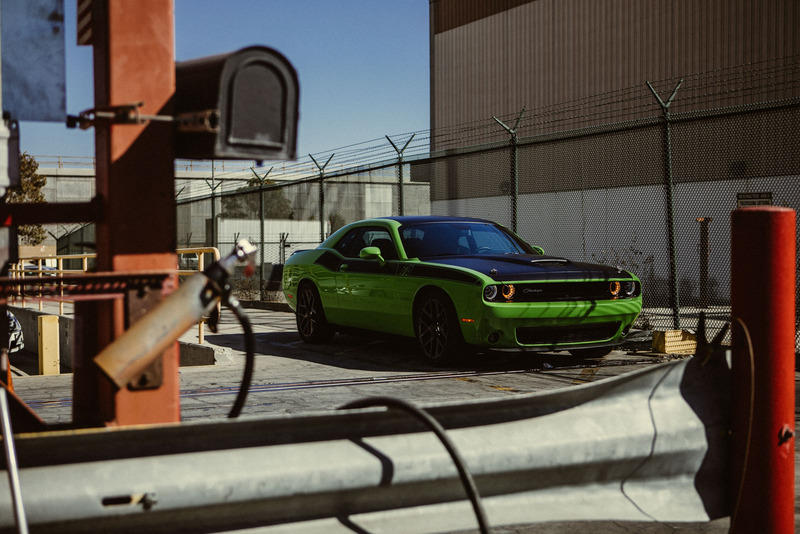 All Challenger T/A’s get a massive, functional, centre-mounted hood scoop. 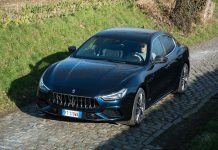 It feeds air into a conical “P-flow” air filter. 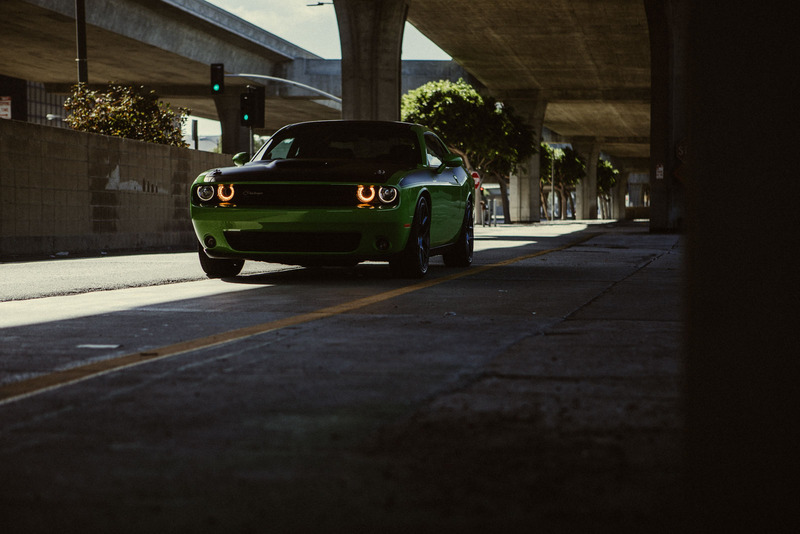 As with the Hellcat, the T/A gets two air intake holes punched right through its headlights. 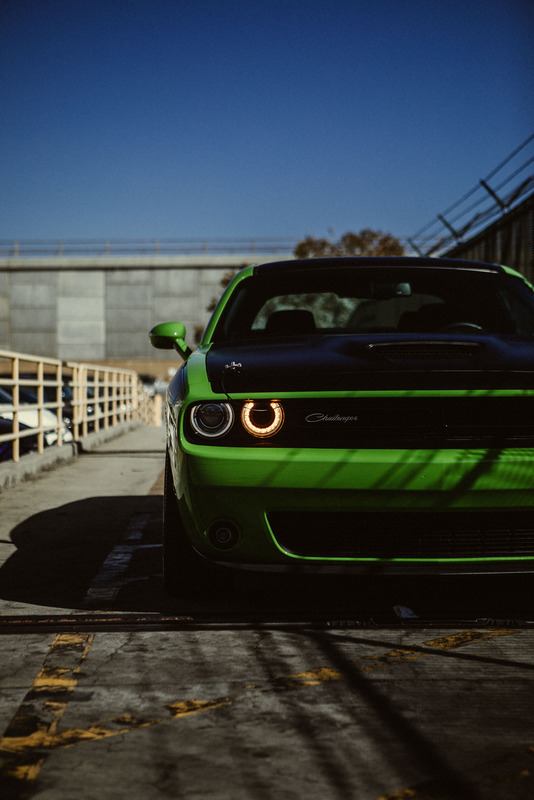 It is equipped with projector headlamps with quad LED halo surrounds and projector fog lamps. 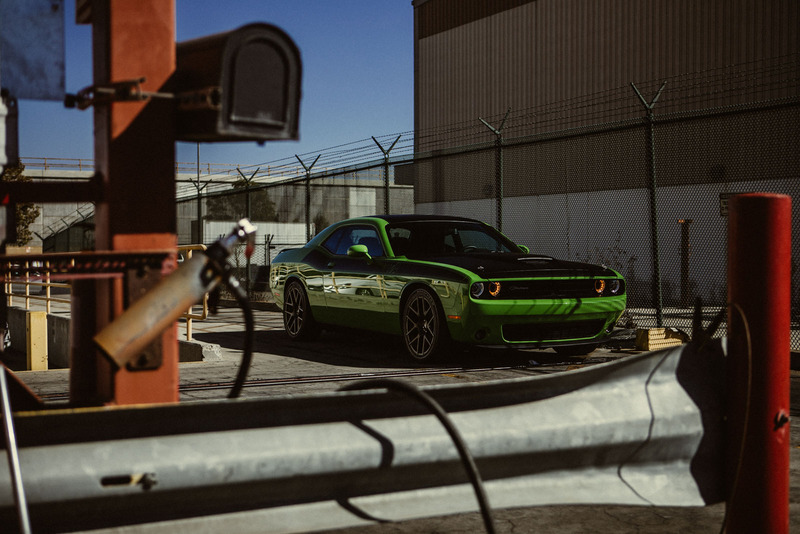 The Challenger isn’t lacking in practicality either. 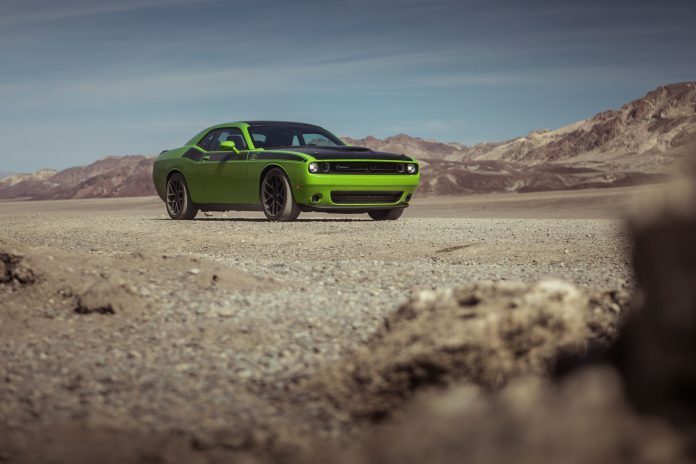 With the huge engine and impressive performance, you would expect the Challenger to compromise on cargo volume. Not so. 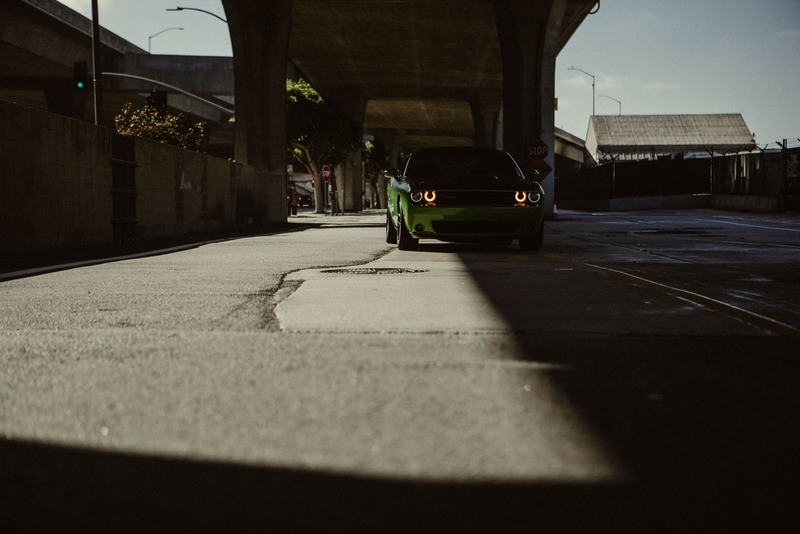 Gangsters in the 70’s would fit at least 2 dead bodies in the trunk, that’s how big it is. 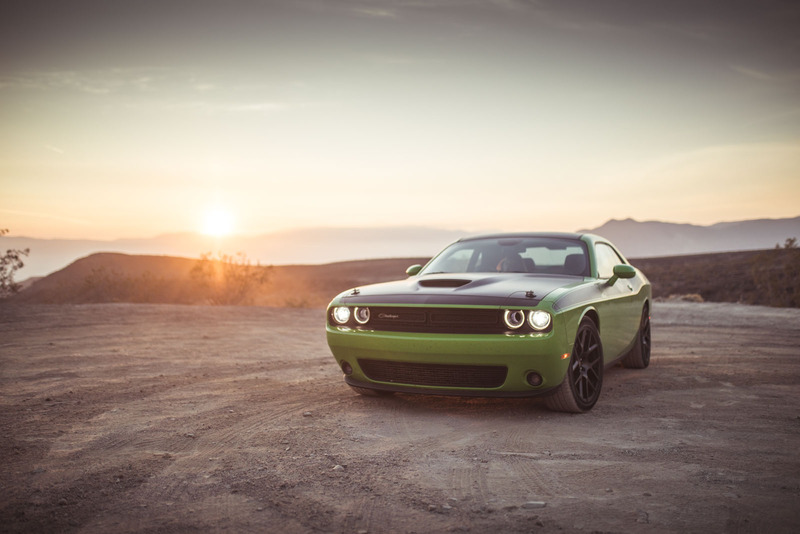 The Dodge Challenger T/A arrives with a massive 7-inch configurable Driver Information Digital Cluster as standard. 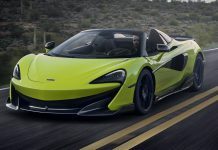 On the Performance Pages you can view real-time stats, from engine performance to the actual g-force of your vehicle. 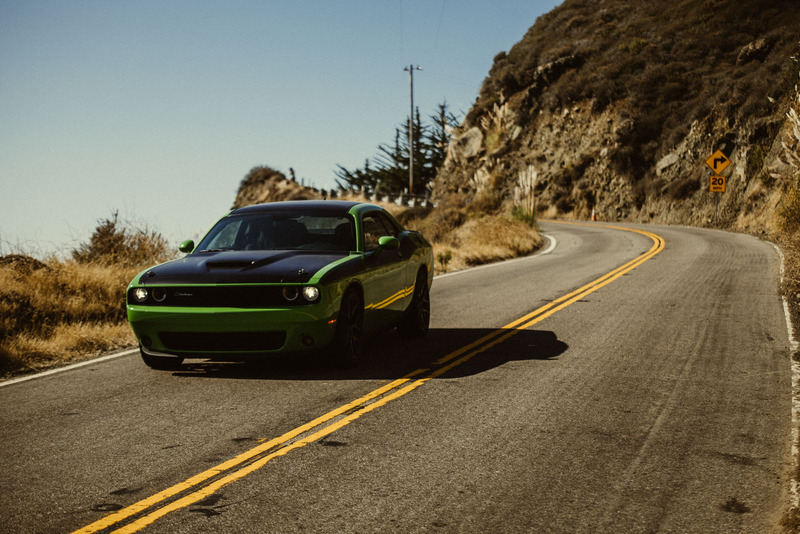 One of our favourite functions of the car on this road trip was the adaptive cruise control. 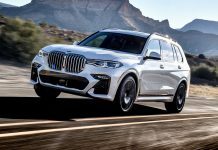 This system automatically adjusts cruising speed and maintains a set distance between your vehicle and the one in front, to help avoid a collision. 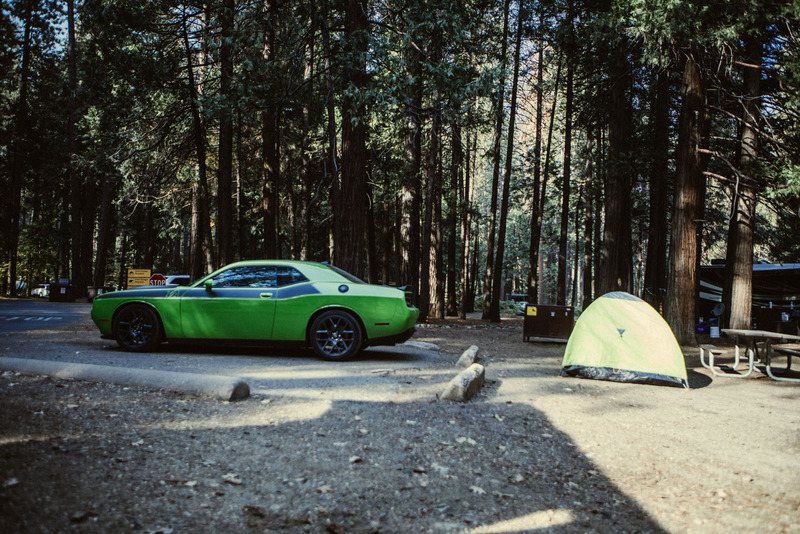 On a long distance road trip, it proves invaluable. Dodge offer two engine variants with the Challenger T/A a 5.7 and a 6.4 litre variant. 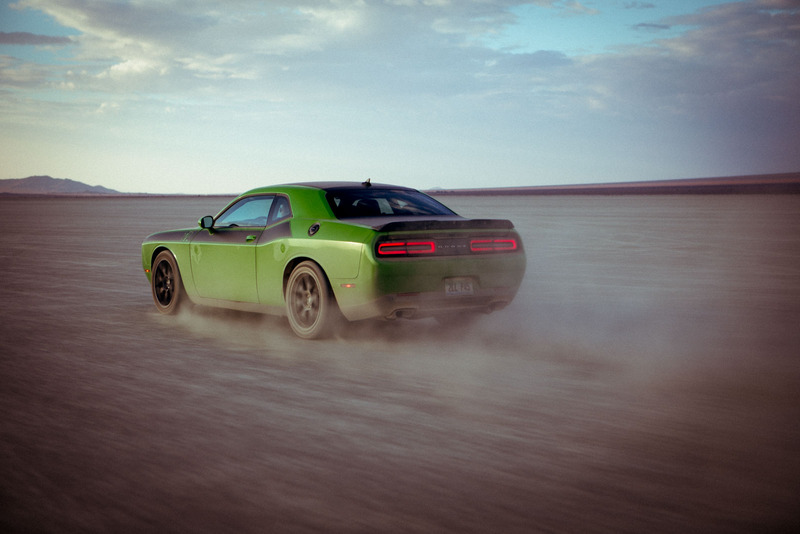 We were lucky enough to test the 5.7 litre 392 HEMI V8 with a pavement-pounding 485 horsepower. 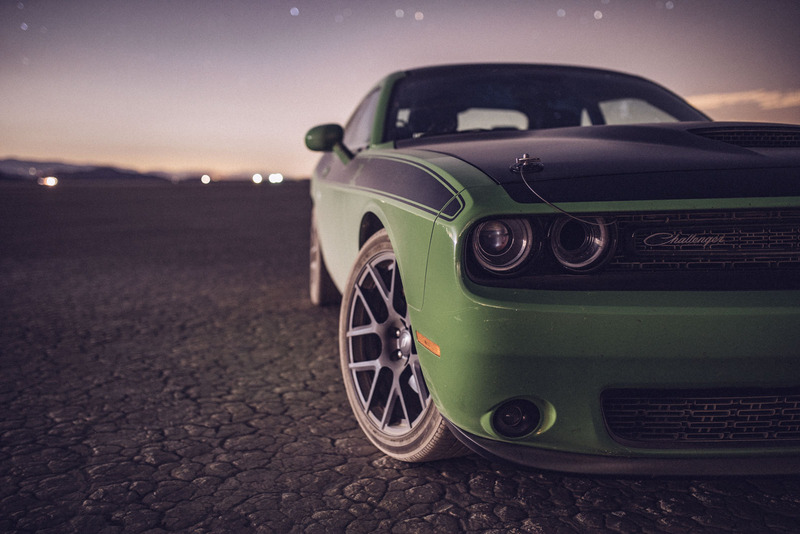 Feeling so much power made our hearts race and driving so much fun. 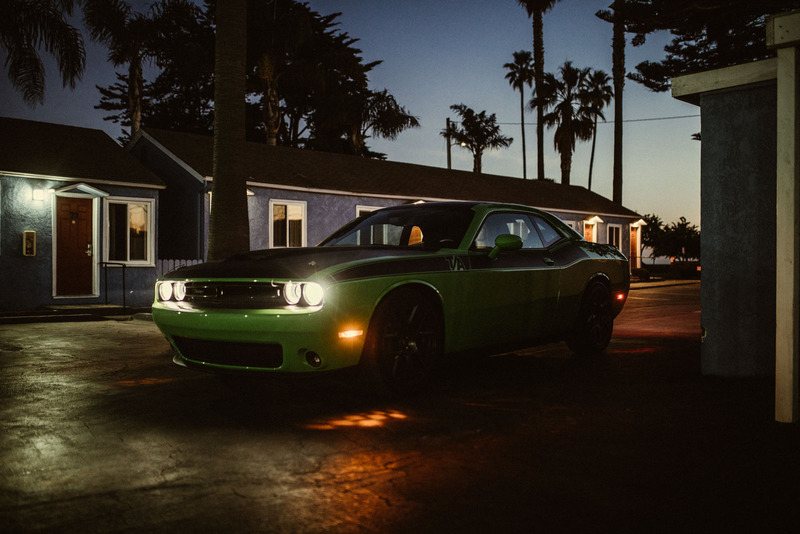 Our trip took us from LA across highway 1 to San Francisco. From here we drove through to Yosemite National Park, through Death Valley and the Mojave desert. 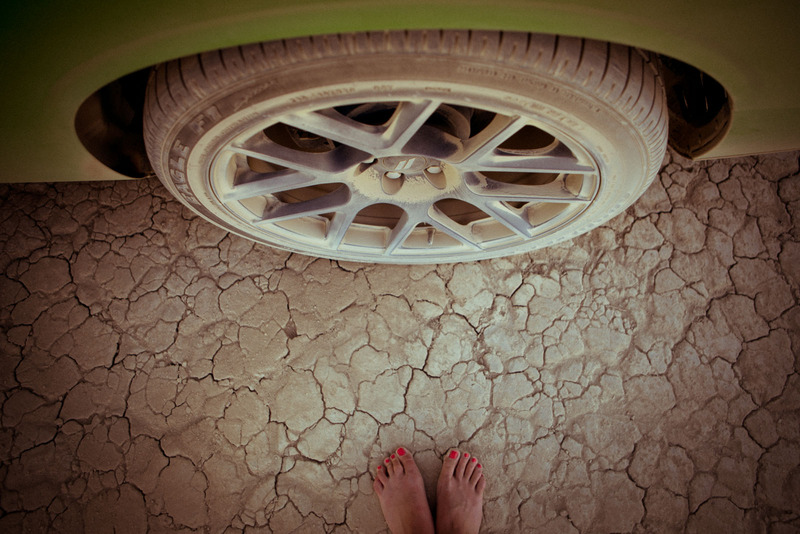 Our last evening with this beautiful car was spent at El Mirage, a perfect test of its ability to cause a dust storm! 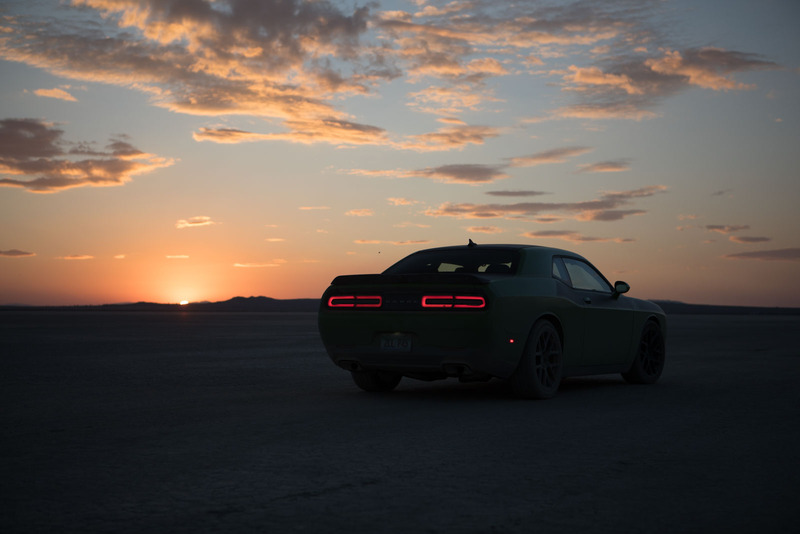 Putting the (slightly dusty) bright green Challenger in front of a stunning sunset, surrounded by clouds of dust, is an image we will find hard to forget. 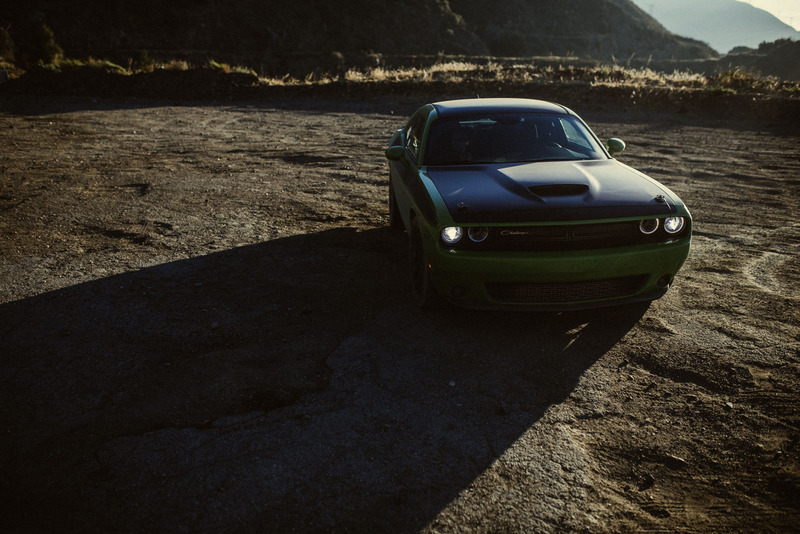 For our final moments with the car, our last sunrise, we chose Angeles Crest. The drive out there is stunning. 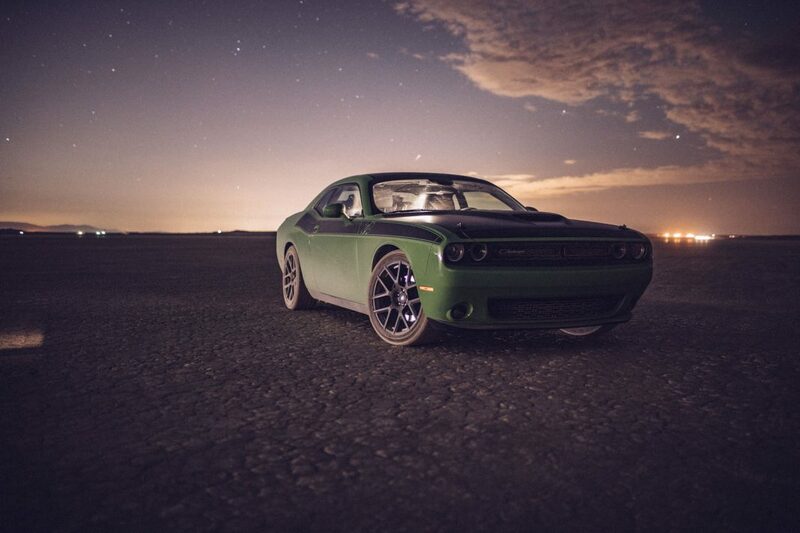 With the Challenger, its a real event. 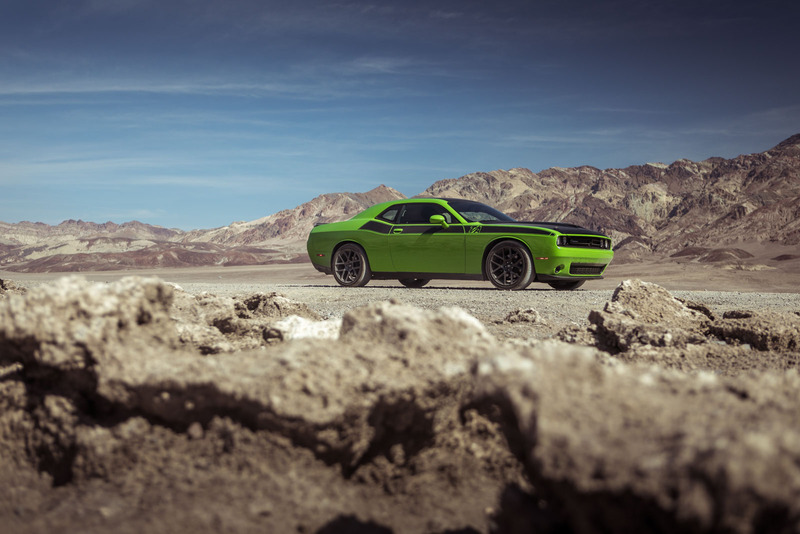 The old school, heavy weight Dodge Challenger is a throw back to the days of the classic muscle car. 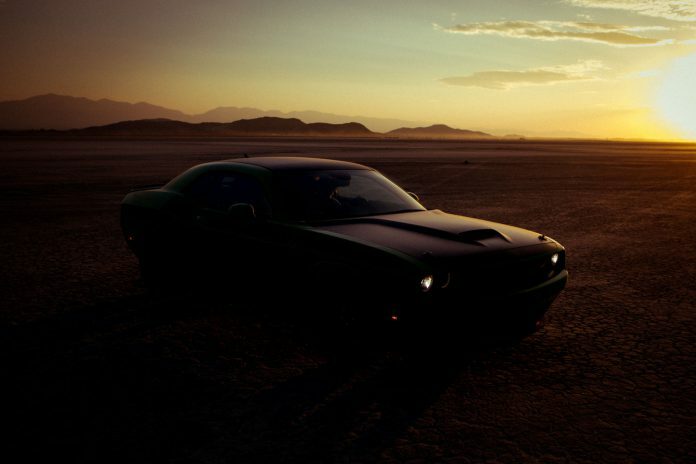 It is one of the last true muscle car we have left. 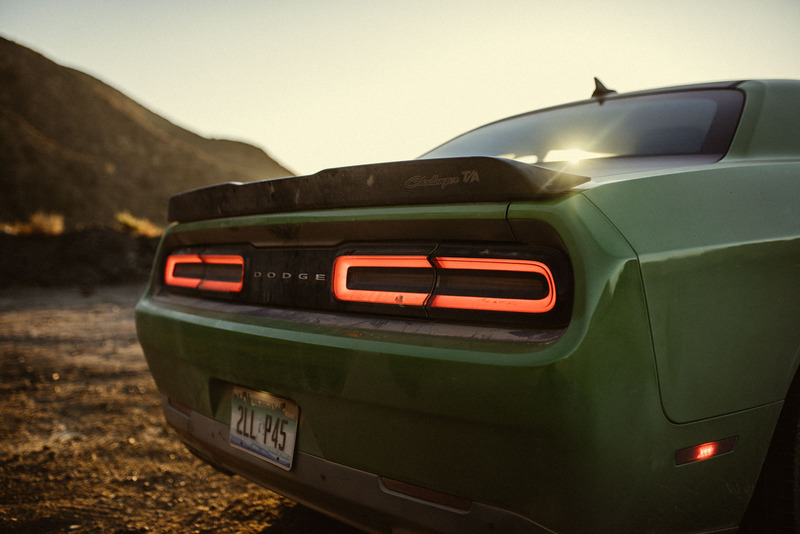 It exists for drag race meets, and to irritate your neighbours. It’s super loud and immediately imposes itself upon you. 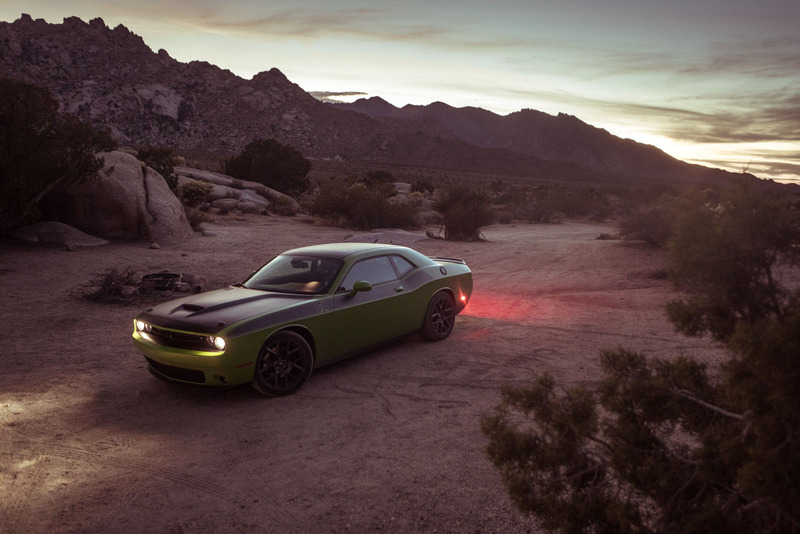 That’s exactly why it still finds a special position in Dodge’s range!